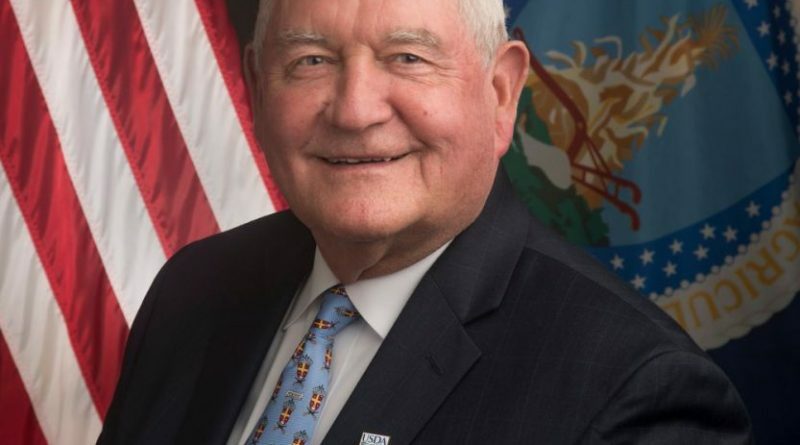 Just a week after the U.S. Senate confirmed his nomination, U.S. Secretary of Agriculture Sonny Perdue will visit two schools in Leesburg on Monday. He will make stops at Catoctin Elementary and C.S. Monroe Technology Center. Wayde Byard, Loudoun County Public Schools’ public information officer, said it will be Perdue’s first official appearance as secretary. Perdue will visit with students in FFA (Future Farmers of America) and, using Google Hangout, speak to students from five other schools from other states, according to a spokesperson from the U.S. Secretary of Agriculture’s office. His visits are open to the press, but not open to the general public. Perdue served as Georgia’s governor from 2003 to 2011. In 2011, he founded Perdue Partners, which facilitates the export of U.S. goods and services. I guess he is visiting elementary schools so he doesn’t have to answer any viable questions! Of course brain wash them early that herbicides , pesticides and hormones are OK in your food supply! This is the type of comment we expect from a Democratic activist who didn’t closely read the article. It clearly states the press will be allowed to cover the visit. The press asks probing questions of politicians. You do realize Obama and Arne Duncan always used Fairfax schools as props for their policies, right? But maybe expecting someone not to be a hypocrite is too high a bar.